Striker Delano Sam-Yorke has completed a permanent move to Lincoln City from Cambridge United after spending five month on loan with the Conference side. The 26-year-old has joined on a free transfer until the end of the season. Sam-Yorke has scored five goals in 22 games for the Imps this season, after featuring three times for the U's. 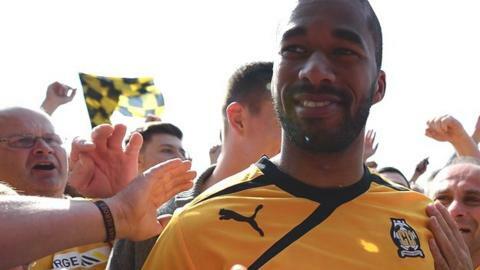 He previously spent time on loan at Sincil Bank last season, but returned to help Cambridge win promotion back to the Football League.